Freeze Dried Acai Powder (100g) - Acai Berry (Thailand) Co.,Ltd. Acai Berry has a hint of cocoa-berries taste and not all that sweet. Blend or Shakes The ‘Hearty Acai’ with Protein. You can use with (Juice/water/Coconut Water/Non - Dairy Milk) to satisfy your taste. Can sprinkle on yogurt or muesli. 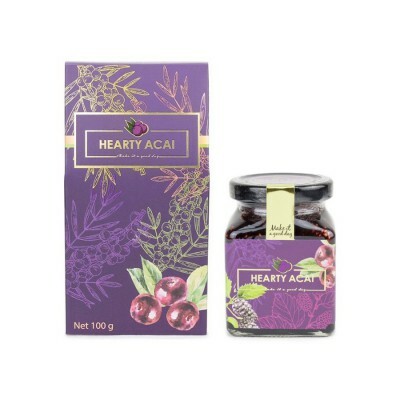 Mix 'Hearty Acai' 1-2 heaped teaspoons into 250ml of water, natural juice or smoothie 1-2 times a day for optimum results.